Islamism is a pervasive phenomenon of global concern and has become a ubiquitous subject of debate among policymakers, intellectuals, and the general public. What we collectively refer to as Islamism, however, has multiple manifestations and a complex and winding origin story. Contemporary expositions on the topic are often simplistic or inaccessibly complex, not answering the basic questions important to those unfamiliar with the specificities of the topic. This article does not claim to be a comprehensive explanation of all the facets and histories of Islam and Islamism, but its purpose is to provide a concise and clear explanation for a modern dilemma of epic proportions. To get a better grasp on the topic, it is vital to understand the historical failures of Islamic intellectualism, the Islamist misunderstanding/misapplication of Modernity, and the separate but related development of Islamist militant vanguardism. The article’s focus will be exclusively on Sunni Islamism, as that is relevant to at least 80% of the world’s Muslims. Islamism is an outgrowth of historical and social developments in Islam, but it has also become its own particular entity apart from other manifestations of Islamic worldly development. After the death of the Prophet Muhammad in 632, his successors that spiritually and temporally led the Muslim Community were known as Caliphs. The first three Caliphates are referred to historiographically as the Rightly Guided, the Umayyad, and the Abbasid. Between the 8th and 10th Centuries, the Abbasid Caliphate was at its apex, stretching from North Africa in the West to Central Asia in the East. Islamic rationalism thrived in this period as early Abbasid scholars studied a combination of Islamic, Greek, and Indian texts and reconciled them into forms of secular philosophy. The intellectual foundation that girded this open approach was a Scholastic Theology known as Mutazilism. The central tenet of the Mutazilites was a belief in the separate “created” status of the Quran. They did not reject the Quran as Divine Revelation, but considered the Quran as not co-terminus with God, which allowed it be critiqued like other texts. Following this early period, however, more conservative caliphs paved the way for changes among the intellectual elite. The seminal change arrived in the form of a former Mutazilite, Abu Hasan al-Ash‘ari (874–936), who asserted that the Quran was “uncreated” and thus co-terminus with God. This shift altered and limited the previous rational path of Islamic philosophy, and gave birth to the new Scholastic Theology of Asharism. Later, the most well known Asharite of history, al-Ghazali (1058–1111), wrote The Incoherence of the Philosophers, an incisive critique of Greek metaphysics. 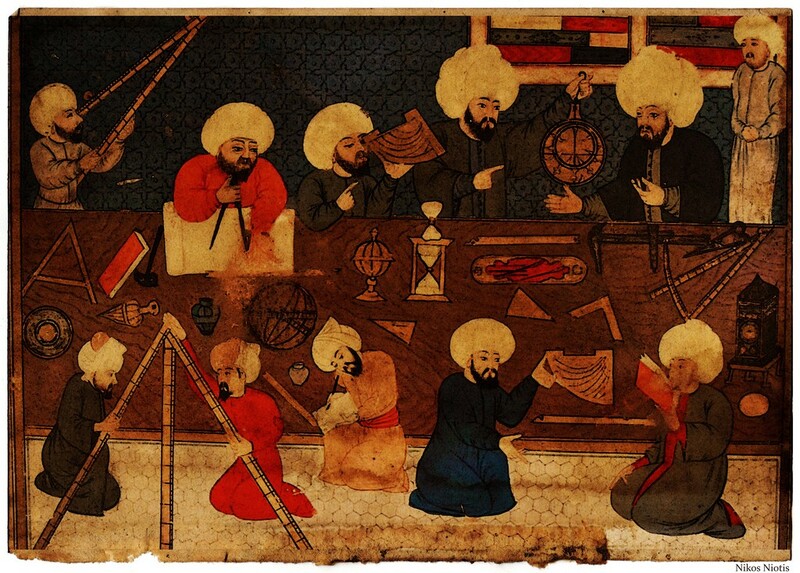 The effect of al-Ghazali’s work went far beyond metaphysics. Muslim intellectuals, en masse, eventually considered all Greek philosophy as incompatible with Islam. The critique of al-Ghazali by Andalusian polymath Ibn Rushd (Averroes, 1126–98), The Incoherence of the Incoherence, circulated belatedly. It unfortunately did not reverse the intellectual shift brought about by al-Ash‘ari and consolidated by al-Ghazali. These developments served as the basis for what we now know as Traditionalist Sunni Islam with its Schools of Thought of Islamic Jurisprudence. Traditionalists adhere to the practice of Emulation, enforcing adherence to established principles within their respective School of Thought and consequently discouraging the use of Individual Interpretation. If and when changes have occurred, they are necessarily minimal and conform to the Consensus within the School. It should be noted that officially Traditionalists are politically quietist, as Asharite doctrine enforces cooperation with temporal authorities. This is why Traditionalists are swift to condemn terrorism and other forms of militancy against civilians or the state, but can also be swift to endorse civil-political Islamist agendas if Islamist parties hold temporal power. This stagnant state of affairs was sustained until the advent of Islamic Modernism at the turn of the 20th Century, the progenitors of which most prominently include Jamal ad-Din al-Afghani (1839–97) and Muhammad Abduh (1849–1905). Modernists emphasize Reform and direct engagement with the foundational texts of the Quran and the Sunnah using Individual Interpretation. While they challenge the stagnation and staleness of the Traditionalists, the Modernists have also been auto-limiting on their own terms as well. Their return to the foundational texts in order to bypass the Traditionalist monopoly on knowledge and interpretation is a logical step. However, their fetishization of “authenticity” means that they take textual purity, ipso facto, as equivalent to modernity. Thus, en masse, the Modernist return to the foundational texts has not led to a broad-based Muslim Enlightenment girded by the exegetical textual critiques that were true of the Mutazilites. The dysfunction caused by stagnation on one side and blind textual fanaticism on the other has directly led to the development of Islamism today. Islamism is thus defined as a politicized Islamic activism rooted in a frustrated and chauvinistic Muslim self-awareness regarding Islamic civilizational stagnation. Islamism manifests civil-politically and/or militantly. It ironically draws much theological inspiration from Traditionalism while repackaging it into a confrontational Modernism that sidesteps a genuine Muslim enlightenment in favor of a disingenuously immediate and self-declared Modernity. Pre-Modern Islamic dominions consisted of relatively weak central authorities. These central authorities lacked the technology, police authority, and political power projection that Modern states do. For example, pre-Modern applications of Islamic Law were principally interpersonal local proceedings based on a wide set of guidelines provided by a local religious law scholar. Today, however, impositions of Islamic Law in Modern states are extremely consolidated, legalistic, and doctrinal. Such impositions come with the full centralizing and coercive power of the Modern state to regulate every single one of its citizens the way it sees fit. The Islamist misunderstanding of Modernity has actually made Islam more uniformly imposing and intransigent than it ever was historically. This misapplication of Modernity to Islam also has some peculiar manifestations in the regulation of piety on a personal basis. Many civil-political Islamist parties, like the Turkish Justice and Development Party (AKP), have promoted economic liberalist agendas in opposition to their economic statist non-Islamist predecessors, like the Turkish Republican People’s Party (CHP). Islamists consider their embrace of laissez-faire economics and quantitative metrics as representative of Islam’s Modernity and thus apply the use of such metrics to personal behavior. Islamist associations from Turkey to Indonesia have developed and applied complicated matrices that assign “points” to acts of piety, whether those acts are Prayer, proper dress, or successful Propagation. Gathering enough “points” at the end of a given week, month, or year quantitatively means having been a successful Muslim for these Islamist Modernists. It is, therefore, important to challenge the popular developmentalist myth that Islamism is the refuge of the poor and uneducated. It is true that Islamist social welfare outreach often targets such groups for electoral gain, but the most important Islamist parties and movements are founded and maintained by new, educated Muslim middle classes in a variety of countries. These middle classes are globally connected and self-aware. They wish to justify their newfound status on Islamic terms while thematically displaying their Modernity to non-Muslim counterparts, in an attempt to compensate for Islamic socio-intellectual underdevelopment. The massive gap, thus, between thematic and substantive Modernism in Islam leads to a superficial Modernity. It is one based on economics, circumstantial prosperity, and even procedural democratization, but it also typically leads to rollback in substantive democratization in areas such as minority rights. Islamist Modernity is limited by its own de facto, if not de jure, impetus to never fully guarantee rights and privileges to all citizens regardless of faith, among other discriminations. It is a recurring theme in Islamist discourse that non-Muslims have “a place” but not “equality.” In line with this mindset is the stubborn refusal to accept that Islam requires exegetical reform, especially the kind that would be a cognate to what Christianity experienced during the Reformation and the Enlightenment. This article, thus, posits that even “moderate” Islamism is not equivalent to European Christian Democracy. This article has so far focused on mainstream Islamic intellectual history and the development of Modernist civil-political Islamism, as these are the most important issues and problems that must be considered for the present and the future. That said no article on Islamism ought to ignore its manifestations in the spectacular violence of militant groups, lone wolves, and most prominently the Islamic State of Iraq and the Levant (ISIL). Militant Islamism is partly shaped by the broader intellectual ineptitude and mandated modernity already discussed. Conversely, civil-political Islamism also draws vanguardist principles from militant Islamists. However, the latter’s spectacular violence also stems from a separate and identifiable ideological genealogy. The oldest part of this genealogy is the theologian Ibn Taymiyya (1263–1328), who lived in Mamluk-controlled Greater Syria. He was a member of the Hanbali School of Thought, the most literalist Traditionalist School and the predominant School in Saudi Arabia and Qatar today. In his time, he railed against the Mongol Ilkhanate because its leader, Ghazan Khan, had converted to Islam but broke his promise to not attack the adjacent Mamluk Sultanate. He also objected to the Mongols maintaining their ethnic Yassa code over a full implementation of Islamic Law. He eventually ran afoul of Mamluk authorities and other Traditionalist scholars too, who accused him of violating Consensus. He served several terms in prison due to a variety of charges leveled against him through the years. Before explaining the link between the pre-modern Taymiyya and the modern genealogy of militant Islamists, it is important to discuss Wahhabi Islamism as transitional between the two. The Wahhabi factor is often cited and misunderstood in the context of militancy. Official Wahhabi doctrine, formed in the 18th Century by Muhammad al-Wahhab, draws a great deal from Taymiyya and is a corollary to Hanbali principles and the broader push for returning to the norms of the First Three Muslim Generations. The doctrine is extremely vanguardist and leaves no room for heterodoxy within Islam. Wahhabi forces did fight alongside the House of Saud to establish the state we now know as Saudi Arabia. However, Wahhabi militancy is tempered by that same partnership, so once the state was established, Wahhabi doctrine discouraged rebellion against temporal authorities. The Wahhabi section of vanguardists that does participate in contemporary militancy, like with ISIL, is the result of ideological exchange between Wahhabi Saudis and Egyptian Muslim Brotherhood members when the latter found refuge in Saudi Arabia in the 1960s and 1970s. Thus, it is essential to explain how Taymiyya’s spirit of rebellion and challenging the status quo also inspired modern militant figures affiliated with the Brotherhood in Egypt. The first important figure is Egyptian Sayyid Qutb (1906–66), who was inspired by the official Opinions of Taymiyya, especially those concerned with returning to the time of the aforementioned First Generations. Qutb spent two years in the United States, with a formative period occurring in Greeley, Colorado. He often cited a church-chaperoned dance that had occurred, during which he said he felt the “desire” in the air. Having observed the West intimately, he returned to Egypt believing that Muslim society was being corrupted by Western secular norms and that native leaders were responsible for preventing this corruption, or modern Ignorance, from spreading. Qutb was already a high-ranking figure in the Muslim Brotherhood when it allied with the Free Officers of Gamal Nasser, who became Egyptian President. Soon realizing that Nasser had no intention of implementing an Islamization program, Qutb and the Brotherhood attempted an assassination of him that was foiled in 1954. This was a major step, as Qutb ideologically sanctioned Muslim assassination of Muslim leaders by insisting that leaders faced Excommunication if they did not “truly” follow Islam. Although briefly released after his initial sentence, he was rearrested on separate charges and executed by hanging in 1966. Combining the concepts of Excommunication, Opinions, First Generations, Ignorance, and the grassroots activism of the Brotherhood makes Qutb the fundamental figure of modern militant Islamism. A few others contributed their own significant ideological corollaries to Qutb’s philosophies. Muhammad Faraj (1954–82) was leader of Islamic Jihad (IJ) in Egypt and found popularity with his pamphlet, The Neglected Duty, encouraging Muslims to conduct Holy War (outward Jihad) against all enemies of Islam. IJ was responsible for the assassination of President Anwar Sadat. Ayman al-Zawahiri (1951), a student of Qutb infamous for his association with al-Qaeda and Osama bin Laden, began as the leader of an IJ cell and later also cooperated with members of The Islamic Group, another militant organization. Zawahiri broadened the scope of Qutb’s emphasis on Excommunication to not only include Muslim leaders, but all lay Muslims too. He considered Islamic society so corrupted that any Muslim could face Excommunication and be fair game for targeting. The trans-nationalization of militant Holy War owes much to Abdullah Azzam, a Palestinian theologian that advocated for offensive and defensive Holy War on a global level. Azzam is principally responsible for organizing Muslim financial support for the Afghan Mujahideen in their fight against the Soviets and for the recruitment of Muslim foreign fighters, typically referred to as the “Afghan Arabs” collectively regardless of their actual national origin. He went on to co-found al-Qaeda and Lashkar-e-Taiba. After the Soviets withdrew from Afghanistan, he wanted to shift the global Holy War back home to the Palestinian Territories and against Israel. Zawahiri and bin Laden disagreed and wanted to turn the Holy War against the greater West. Some analysts have speculated that Azzam’s death in a 1989 bombing was related to this disagreement. The orientation of al-Qaeda “central” in Afghanistan was a consolidation of the vanguardism that was established by Qutb, emboldened by Faraj, and broadened by Zawahiri. The organization remained small intentionally with only select “branded chapters” in other global locales. Its extreme and selective vanguardism meant consciously distrusting and dismissing the vast majority of the world’s Muslims. ISIL changed this. Its declaration of a Caliphate violated al-Qaeda principles of maintaining separation from the greater Muslim Community. Moreover, ISIL’s principles of encouraging Muslims to move to its Caliphate or to undertake Holy War at will in their own locale are an inverse of al-Qaeda’s principles. For ISIL, any member of the Muslim Community is welcome and is authorized to operate in its name. Everyone is the vanguard now. In ISIL, thus, there is the confluence of the three distinct forms of militant Islamism outlined in this section. It is a hybrid of the pre-modern theological confrontation of Taymiyya, the transitional state building from war of Wahhab, and the modern grassroots participation of Qutb, which means that this particular history has truly come full circle in the current period. If readers of this article have previously read other works on Islamism, then they are most likely accustomed to arguments that frame the subject of Islamism as a matter of Muslim reaction. It is true that reaction to externalities, especially colonialism and/or foreign intervention, have partially shaped many forms of Islamism. Some of those forms have been touched on incidentally in this article. However, the main thrust here was not on reaction but instead on historical Muslim choices both active and passive. These choices and their particular consequences mean that even Muslim reaction has a unique character that has no qualified equivalent among non-Muslim populations that have also suffered colonialism and/or foreign intervention. The resulting scale and intensity of Islamism globally, both civil-political and militant, have thus also required unique diplomacies and securitizations among all countries. Consequently, knowledge and understanding of this topic are necessarily a prerogative for all global citizens, regardless of background. Male. New Deal Democrat. Pluralistic Muslim. Disciple of the Indonesian Renewal. Ex-academic. Opposing all fanaticism. Formerly of Reformer Mag on Medium.